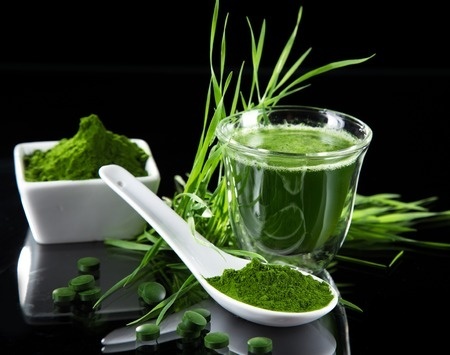 Much has been said about superfoods since the term became prevalent in the health food industry. A lot of articles and reports about them tend to fixate the public on that term. But here I’ll mostly be focused how superfoods can be used to begin, maintain and accelerate a healthy lifestyle. The term “superfoods” itself doesn’t actually have any specific requirements. It simply refers to whole foods with a higher nutrient density. 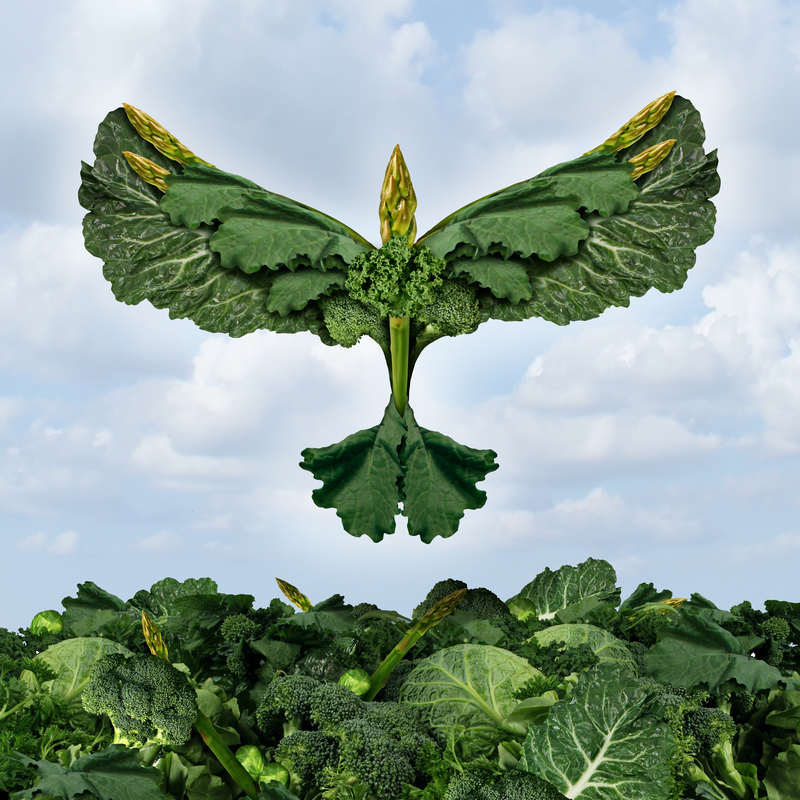 Kale is a superfood that gets a lot of attention and with good reason. 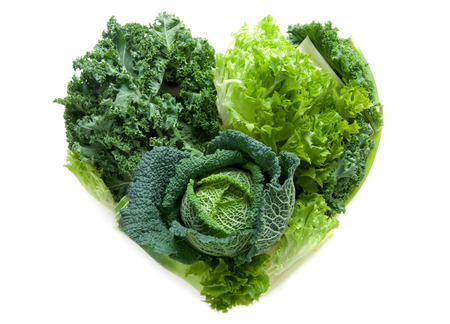 Compared to Iceberg Lettuce, there’s 5 times more protein and folate in kale. Also, you’ll get 8 times the calcium and 29 times the Vitamin K.
The greater nutritional profile in this one powerful example shows the immense potential in shifting your diet towards superfoods. A “superfood” can be anything from veggies we hated as kids to exotic fruits from far corners of the Earth. Transitioning to a diet with superfoods comes with challenges. Superfoods can be a big help with the nutritional aspects of your diet. Switching to plant-based, raw food diet can feel like there’s something missing when you’re coming from a diet of processed animal foods. The feeling of “fullness” has multiple factors. An unhealthy meal lacking nutrients can still leave you satisfied because it gives you a dose of sedation which can be habit forming. Transitioning from less physically dense foods towards more water, vitamin and mineral rich foods can avoid these pitfalls by incorporating the highest quality plant food possible. Transitioning from the Standard American Diet is a delicate time, so overstepping or not utilizing the available tools can make it more of a struggle than it needs to be. Superfoods are an essential tool for this process. Beginning doesn’t have to be an all or nothing setup like becoming 100% vegan overnight. Simply start by making little improvements in your diet and lifestyle. These will begin to snowball over time as the body adapts to the new foods and begins to crave them. Bringing in new foods while letting others go is the way to truly move forward. Switching out a bun or a wrap for a salad is a huge improvement even if the meal is still centered around animal protein. By not only removing the processed starches and gluten but adding in the raw plants you’ve made digestion abundantly easier, improved your nourishment and made immense progress in the right direction. The same can be said for mashing up some guacamole instead of buying a container or dip from the store. Having chia pudding instead of cereal. The list goes on and on. With health foods stores in cities and online continuing to grow, diverse organic superfoods are more accessible than ever before, for which I’m incredibly grateful because they were a huge help in beginning and maintaining my improved diet. As things balance out after removing the foods from the Standard American Diet (S.A.D. ), we get used to making meals in new ways. It eventually becomes our new comfort level which opens up the door to more innovative and purposeful ways of incorporating superfoods into our eating habits. When I’m on the go or camping fresh and dried superfoods are incredibly helpful since I may not be able to make a salad, juice or really do much prep so having food that you don’t need to each much of to get a lot from is ideal. Modern tools like juicing and dried powders offer such powerful doses of nutrition that utilizing them is like giving your body a gift. A teaspoon of camu powder has up to 2 times the daily requirement of vitamin C. Taking that during winter is truly using it as preventative medicine against the common cold and flu that get passed around. So they may cost more than typical groceries but they are a powerful tool in keeping our bodies strong and our minds sharp. One of the keys to utilizing superfoods is using a diverse rotation of foods. Kale may be the best of the leafy greens but if you eat salad regularly it’s always good to use various greens to get a broad spectrum of nutrients. By doing this over long periods of time there’s a compounding effect when or bodies and or minds get incrementally better as they get cleaner and consistently well nourished. As this happens our senses heighten and things can have a greater impact on us. We get a stronger feeling of the effects from what we take in and we continue to use these foods as tools. However, now it’s also possible to accelerate things. Having a variety of superfood powders, potions, and tablets around can begin to have a modern day medicine man feel to it. Adding something uplifting like raw chocolate or maca to your breakfast when you know you have a long day ahead is a spectacular alternative to energy drinks or junk food and with a cleaner system the benefits of the superfoods are felt more clearly. The morning before a physically demanding day I’ll often add a few chunks of fresh turmeric root to my juice to have it’s anti-inflammatory components in my system ahead of time. Dosage is also crucial. Sure, turmeric is a powerful anti-inflammatory but adding 1/2 tsp. to a curry dish won’t cure severe pains or even produce noticeable effects because of the small amount used. Most of the time we don’t feel the effects of the superfoods we consume because that’s essentially what wellness is — the absence of discomfort. We put smaller, balanced amounts of food in our recipes and get all our bases covered, more or less. So just like with any medicine, keep in mind dosage when taking a superfood with a desired result in mind. As we detox we get to know our bodies better than ever — that’s always our more accurate compass. Go by what you feel. Over time, new superfoods will continue to resonate and become an important part of your diet. But at the same time the damaging foods must be eliminated for true healing to happen. A particular superfood may be high in the component needed to heal a specific disease but if the cause of that disease isn’t stopped then adding the superfood won’t be fully effective. Superfoods are helpful but they are not the cure. Superfoods demonstrate the beautiful, delicious and healing powers of nature coupled with an understanding and accessibility made possible by modern technology. Superfoods are what fed our ancestors and they will continue to aid us into the future.